Leslie Grimes was another of those artists that did motoring art in his early days but his career moved on to work as a political cartoonist and newspaper illustrator. Leslie Grimes was brought up in an orphanage but went on to Kingston Art School and after that studied in Paris before returning to the UK. He had army and Royal Flying Corps service during the First World War before becoming a commercial artist. As a commercial artist he completed a variety of advertising work including several posters. 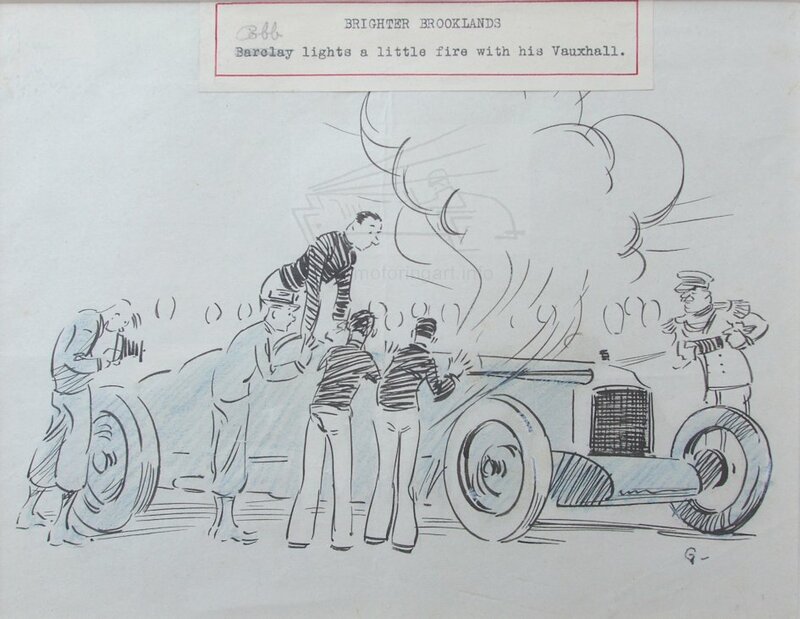 No doubt being a young man and living close to Brooklands it is not surprising that Leslie Grimes drew the events at the track. Probably these were done at weekends as an income supplement to his advertising work. It is also said that he was a motorcycle passenger in races. 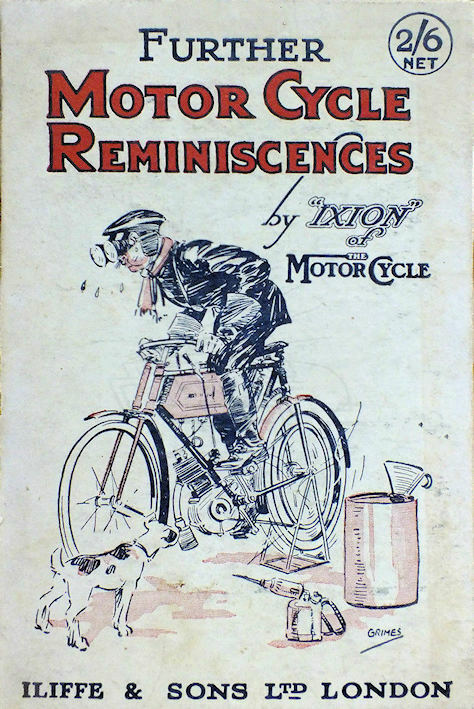 The drawings were sold to a variety of motoring publications including The Motor Cycle. 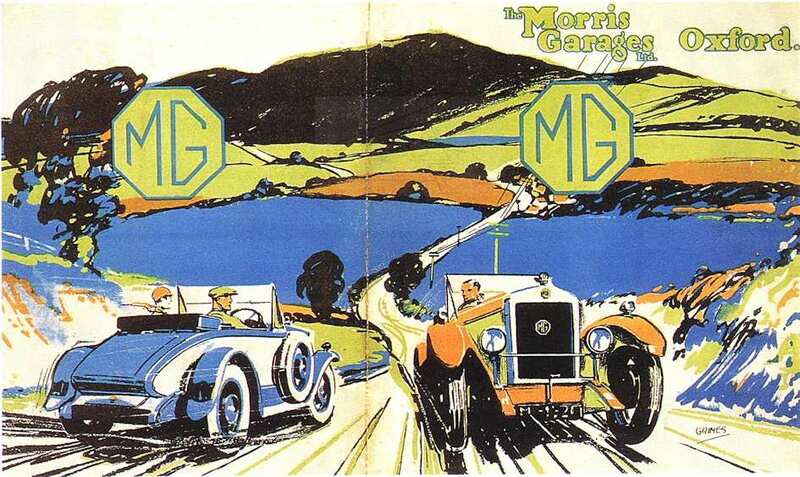 Around this time Leslie Grimes also did work for Morris Garages (MG Cars) and whether this was as an individual or via the agency for whom he worked is not known, Possibly the best known work is his sales catalogue cover for the MG 14/40 showing two cars passing on a hill. This was probably completed in 1927 for the announcement of the new model. 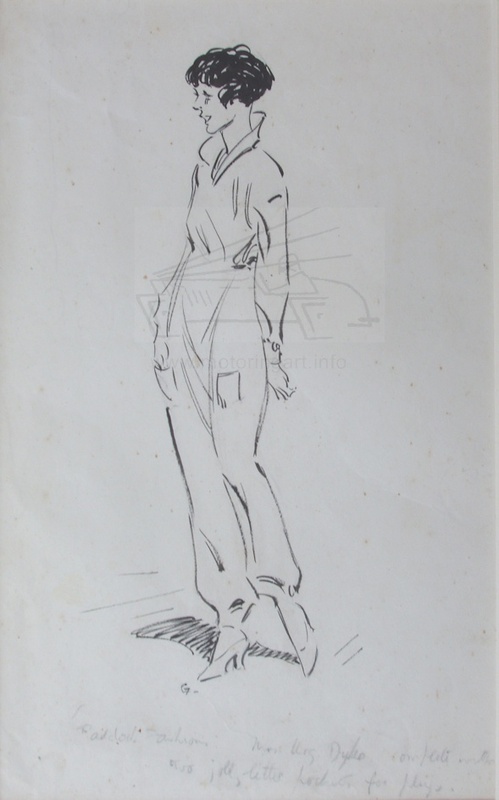 An excellent selection of his early MG advertising artwork is shown in ‘Oxford to Abingdon’ by Barraclough and Jennings It is known that in 1927 Leslie Grimes had joined The Star newspaper as a political cartoonist creating a popular series called ‘All My Own Work’. 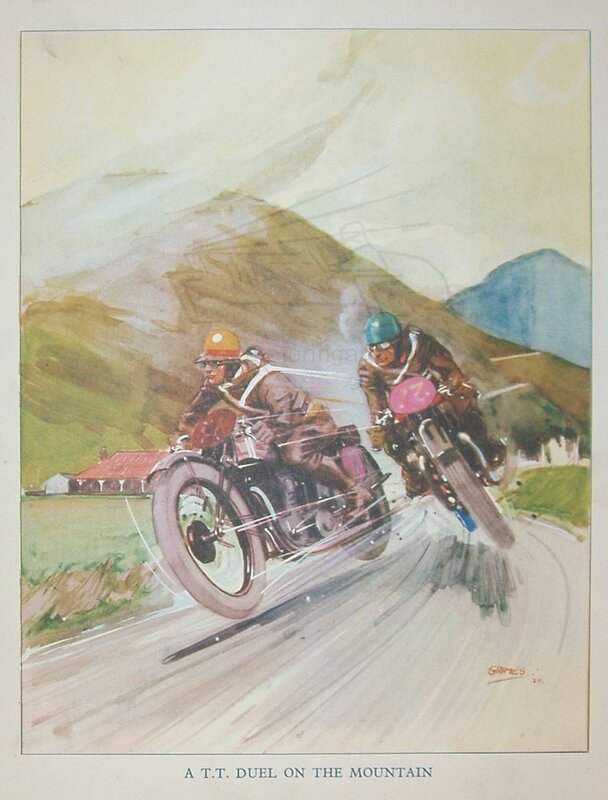 In 1927/1928 he provided a lot of the illustrations for the ‘Boys Book of Motor Cycles’ published by Iliffe in 1928. The illustrations include some colour work. He worked for The Star until 1952 when he resigned and moved to Ibiza to paint. The early cartoons are in black and white, pen and ink or pencil, sometimes these are shaded with blue pencil to give body. 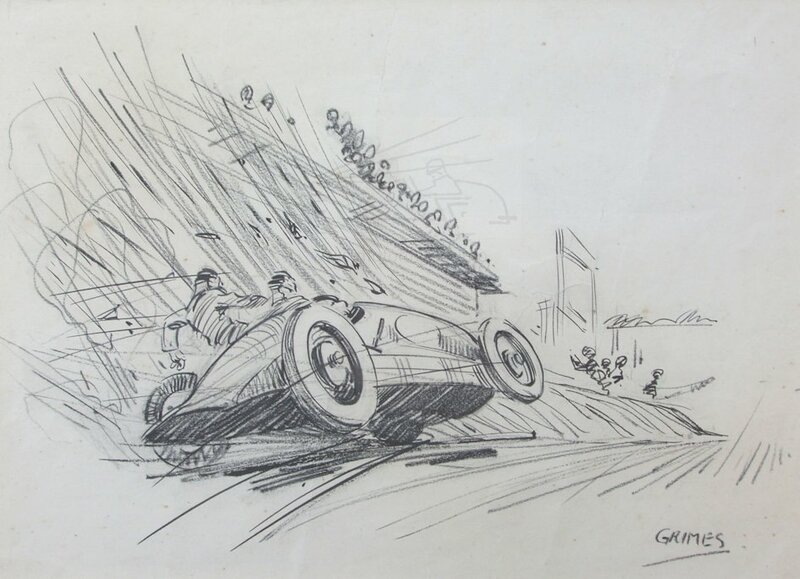 Later Leslie Grimes principally used Conte chalk for his drawings. Normally the works are signed GRIMES with underline but smaller art is sometimes just initialled with a ‘G’. 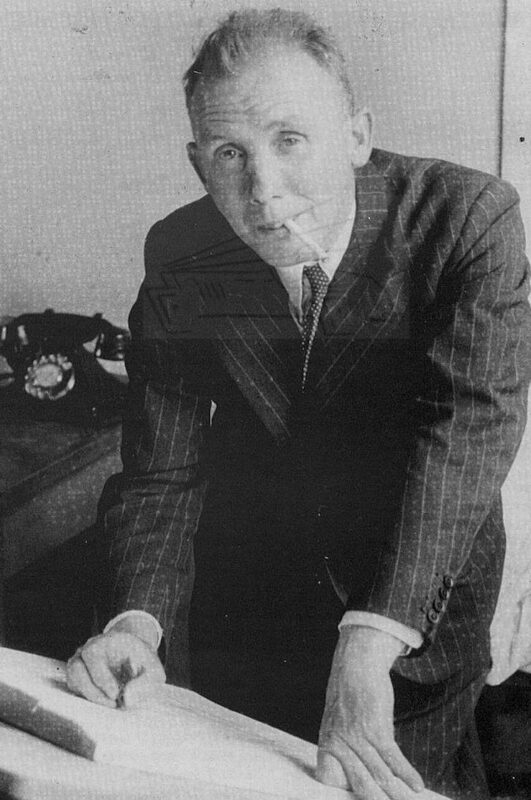 Leslie Grimes was the father of Colin Grimes the film director and artist.